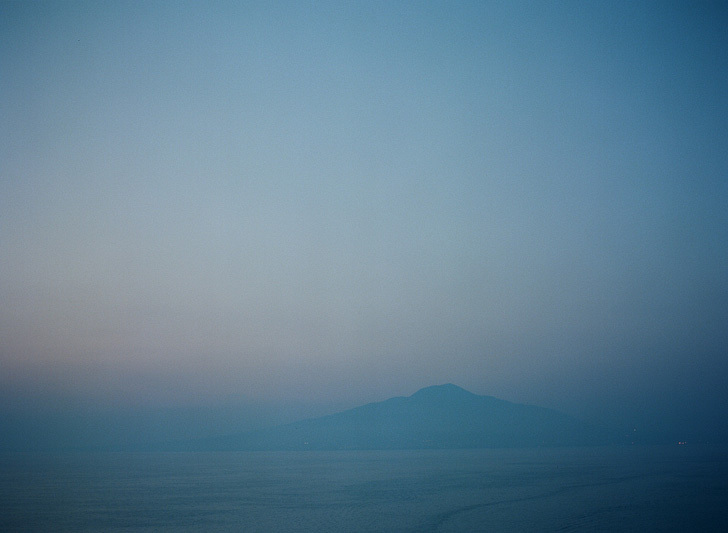 The view from my hotel window in Sorrento of Mount Vesuvius, Italy . July 2010 . Shot on film.